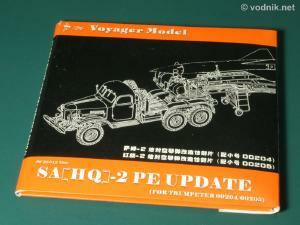 The set from Voyager Model is designed for two Trumpeter models: 00204 SA-2 Guideline Missile on Transport Trailer and 00205 HQ-2 Missile on Transport Trailer. 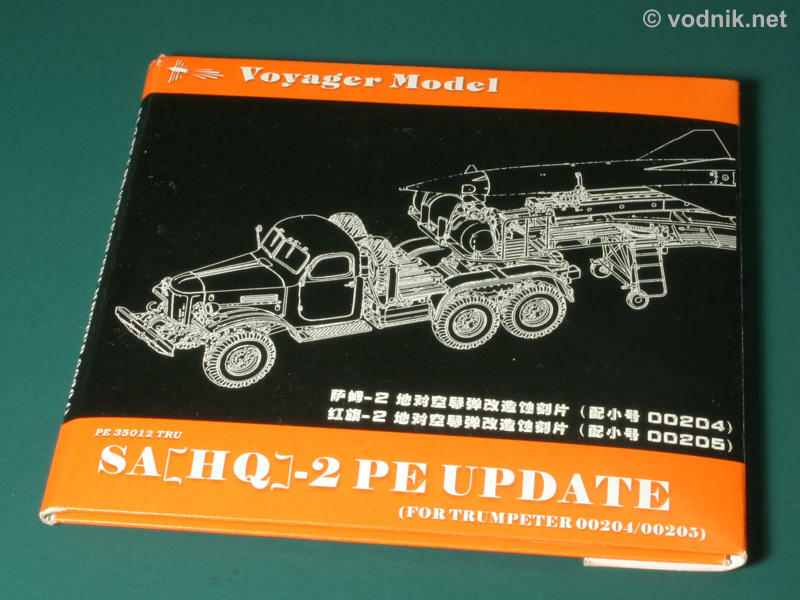 Both kits are almost the same, with the former representing original Russian vehicle and the latter beigne the Chinese version of it. 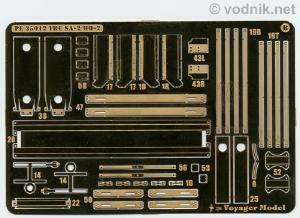 Just a few parts are different in these kits, so it is obvious that Voyager set can be applied to both. 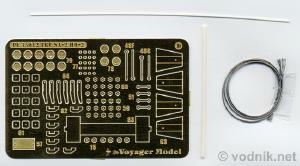 Some details in the set however are available in two versions, one for each of the Trumpeter kit variants. 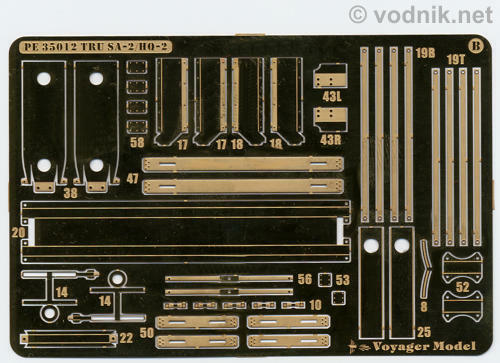 The set comes in a Trumpeter's usual CD-case type cardboard pack and in addition to instruction sheets and four brass photoetched sets it includes also two pieces of ABS rods and a length of steel cable (for the winch). 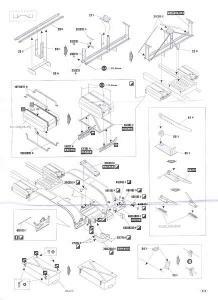 Instructions are quite clear and take three pages of two A4 sheets. 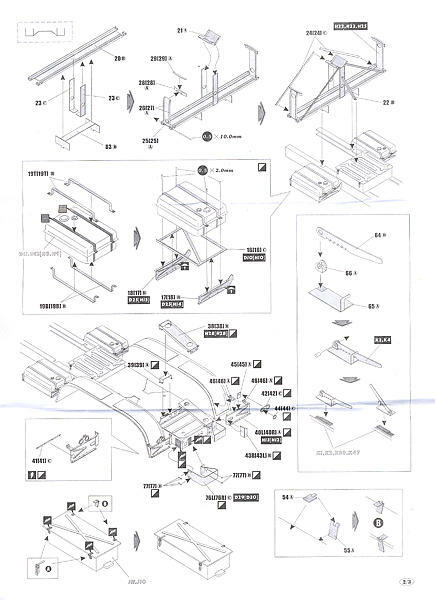 Additional parts are: 52 mm long 1 mm diameter ABS rod, 100 mm long 0.5 mm diameter ABS rod and 300 mm length of 0.5 diameter steel wire. 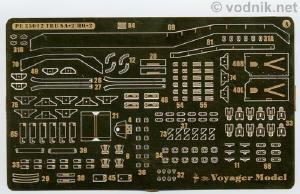 - complete missile base ring. 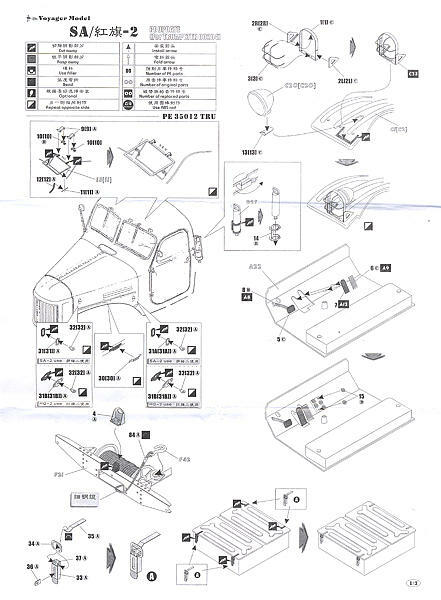 There are also some other small parts included - see instruction sheets scans. 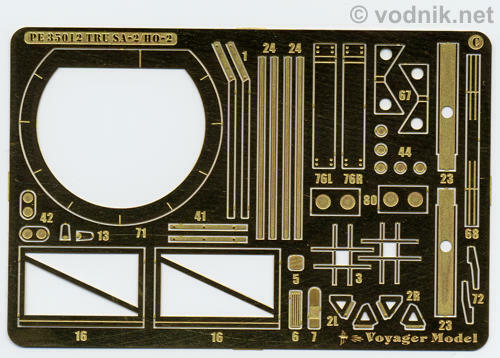 In Trumpeter kits some photoetched parts are included, but Voyager set includes more detailed replacements for most of them. Photoetched fret D, ABS rods and steel cable. As in all Voyager sets also here some tiny brass parts are included and appropriate skills are needed to assemble and attach them. This means that the set is meant for more experienced modelers. 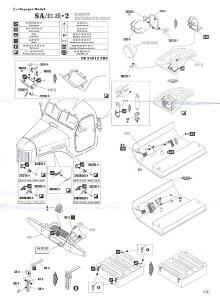 But the complexity of Trumpeter model is already quite high, so it is not recommended for beginners anyway. 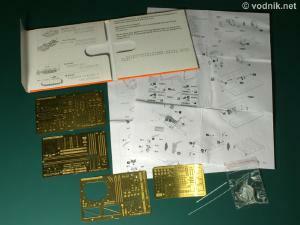 The set is highly recommended for modelers building any of two versions of Trumpeter model. 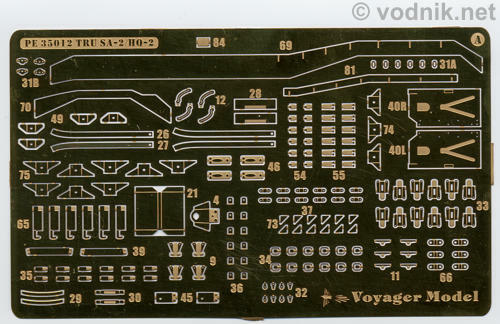 While the Voyager set seems to be relatively small for such a large kit, the only reason for this is the high quality and big number of fine details included in the plastic model itself.